Retired Judge William H. Carey served as Justice of the Massachusetts Superior Court for more than 14 years. Prior to that, he was an active private practitioner in New Bedford for more than 30 years. During that time, Judge Carey served as town counsel for several municipalities in this area and as general counsel for Ottaway Newspapers, Inc. of New York, a wholly owned subsidiary of Dow Jones. An experienced trial attorney in all state and federal courts, including the U.S. Supreme Court, Judge Carey has authored and lectured on labor law, communications law, and First Amendment issues, principally involving the media. 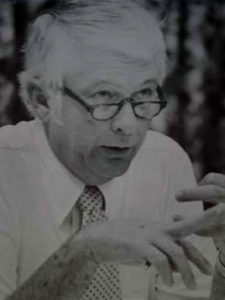 Judge Carey was formerly Administrative Regional Justice of the Superior Court for the counties of Bristol, Barnstable, Dukes, and Nantucket. He was appointed by the Supreme Judicial Court as Chairman of the Standing Advisory Committee for the Rules of Civil Procedure. He is a graduate of Providence College and Boston College Law School. Judge Carey became of counsel to Beauregard & Burke in 1995 upon his retirement from the Superior Court and was an integral part of the firm until his passing on February 21, 2015.